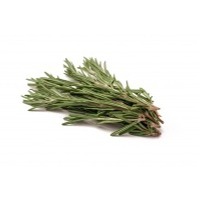 Browse rosemary suppliers by country and region. Rosemary has been used for thousands of years in cooking and in medicine and it is famed for its ability to stimulate the mind, enhance the memory and improve concentration. Rosemary is an herb in the mint family. It is a small evergreen shrub, Rosmarinus officinalis, whose 1-inch leaves resemble curved pine needles. Rosemary is native to the Mediterranean. Spices (whole & ground) like chilli, turmeric, black pepper, coriander seeds, cumin, fennel etc., food herbs like oregano, basil, rosemary, thyme, rice both basmati & non- basmati, pulses, dehydrated vegetables, rice and corn flakes and other food products. Short on time? Let rosemary sellers contact you. Home furnishing textiles organic products such as table materials, kitchen materials, bed materials, living and bath materials., oraganic cotton bags, polyster knitted babies top, polyster baby girls dress etc, also indian spices & herbal extract and raw materials, coconut products like fresh coconut, powder, coconut shell, coconut husk. 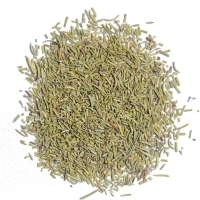 Rosemary oil is primarily extracted from the perennial herb rosemary/rosmarinus officinalis bush. Recognized for its special fragrance, rosemary oil is widely used in body perfumes, body lotions, hair care products. Rosemary oil is celebrated as a natural brain booster. The oil increments mental capacity and is tremendous on the central nervous system (CNS) /systema nervosum centrale. It has been recognized to heighten memory, clear the mind of all the clutter and elevate mental awareness as well. Medicinal Herbs, Oregano, Rosemary, Java Tea, Fried Banana chips, Exotic Vegetables. Rosemary oil, palmarosa oil, tulasi oil. Osmanthus concrete, juamine absolute, rosemary oil, garlic oil, ethyl vanillin, vanillin, maltol, ethyl maltol, raspberry ketone, methyl cyclopentenolone, mustard oil, allyl isothiocyanate, natural maltol, natural mustard oil. Essential oils, rosemary oil, ginger oil, indian fig, potential fruits. Honey, olives oil, peppers to seasoning for meats and vegetables, lentils, dry peas, small cucumbers, pickled onions, nuts, mixed pickles, bottled ketchup, tomato sauce flavored with basil, garlic, rosemary, salted peanuts. Rosemary extract and other plant extract. Rosemary extract, oil soluble natural antioxidant rm-ak1, rm-a61, rm-a62, rm-a12, water soluble natural antioxidant rm-w41, rm-w21.